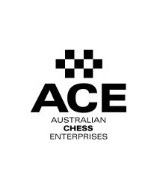 Here you will find all the information you need regarding chess in Western Australia. The site primarily caters for registered CAWA chess players be they Senior or Junior. But if you are an unregistered player, casual player or even an interested visitor feel free to look around. Perhaps after viewing the CAWA site you may wish to join the CAWA. By becoming a member you are then eligible to participate in ratified tournaments and obtain an official rating. The April Edition of the CAWA Newsletter is now available. For those wishing to contribute anything to the next edition please send your submission to the Newsletter Editor: Mike McGregor by the 31st of May 2019. CAWA is now on Facebook which you can access from the link below or from the Facebook logo located above the daily puzzle. Many thanks go to John Pimenov for setting up CAWA’s very impressive Facebook page. Last month, Temur Kuybokarov received official notification that the FIDE Presidential board has formally ratified the award of Grandmaster Title. Temur has been residing in Western Australia for over two years and was the winner of the 2019 Australian Open held at the end of last year in Melbourne. 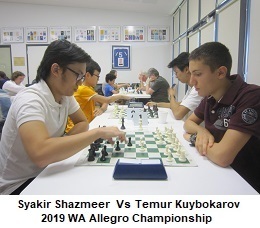 WA chess players will know that Temur has already made a significant impression on our State scene having taken time off from his busy international schedule to win the 2018 State Lightning and 2018 and 2019 State Allegro and take part in two simultaneous exhibitions, (unbeaten). Temur has recently completed the 3rd Sharjah Masters International where he achieved 6/9 against a very strong field and is now competing in the Dubai Open Chess Tournament. We wish him every success in his endeavours both overseas and in Australia. The 2019 WA Allegro Championship was held at the Maccabi Club in Yokine on Sunday the 17th of March. Congratulation to the winner: GM Temur Kuybokarov who won comfortably with a picket fence score of 9.0/9. A brief report can be found in the Calendar of Events or the Recent Results section. The CAWA School Chess League (SCL) commenced last Sunday, 24th March with the South Zone qualifying event held at Corpus Christi College. It was a very good turnout with a combined total of 81 players competing from 26 Primary and Secondary schools. The competition for the individual honours in this division was very tight as both Alex Pimenov and Emily Zhang went undefeated with 7 points each from 7 rounds of play. Alex eventually won the title after a play-off game between the two. This division went into extra gear as it provided the most exciting match in the final round between Aidan McGinty and Zhi Hong Lew, which was decided within the last few seconds on the clock of both players, with Aidan prevailing and placing tied for 4th place. The Dharmapuri brothers (Kundan and Sri Krishna) occupied the top 2 placings, with the younger Kundan gaining the top honour for the individual title. DOP was Jay Lakner and assisted by Alan Wolstencroft and Dante Osorio. CAWA would like to thank Corpus Christi College for hosting the event and Suzy Lasarov for all her hard work in accomodating us. 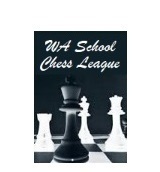 The next School Chess League Zonal will be held at the North Woodvale Primary School on Sunday, 12th May 2019. Report kindly provided by Dante Osorio. The 2019 March Blitz was held at the Cracovia Club on Sunday the 24th of March. Congratulations to the winners: Syakir Shazmeer & Andrew Hardegen. Full results can be found in the Calendar of Events or the Recent Results section. The 2019 Perth Open was held at the Leeming Primary School on the 9th & 10th of February. Congratulations to the winner: Sam Marin. 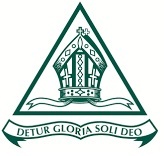 The 2019 Australian Junior Chess Championships was held at Trinity Grammar in Sydney from the 14th to 22nd of January. The WA Juniors performed very well with Oscar Gao finishing second in the U/12 division and Yihe (Rebo) Fu second in the U/14 division. 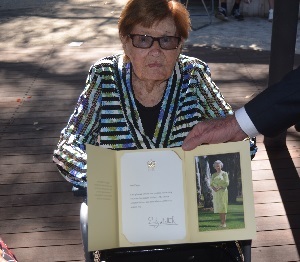 It is with deep regret to hear that Mary Jo Fagan, 101 years old, passed away last weekend. Mary Jo came to the Kingsley Junior Chess Club shortly after it was founded in 1980. She assisted Norbert Muller with teaching the juniors and was the club treasurer for 38 years. 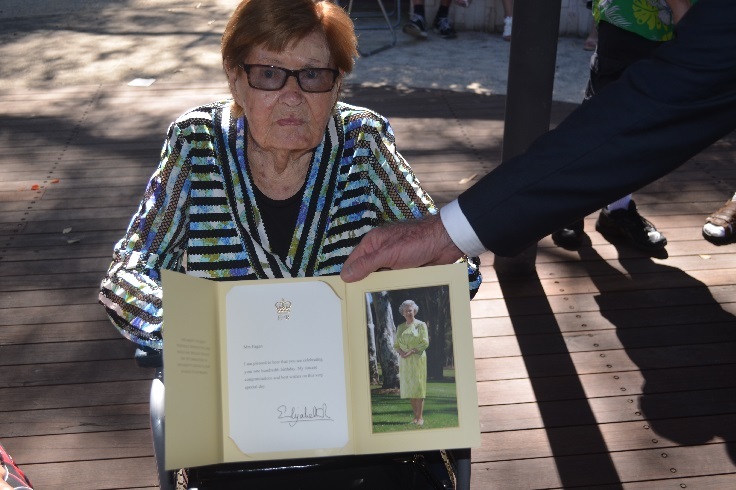 At the age of 100 with failing eyesight she decided it was time for someone else to look after the club’s books. From 1983 to 1992 she held the position of treasurer with the Junior Chess Council. In 1995, at the age of 78 she won the WA Women’s Championship in 1995. In 2017 she was nominated for the Koshnitsky medal for her services to the West Australian chess community. Congratulations to Norbert Muller - Winner of the 2019 Koshnitsky medal. CAWA is pleased to announce that Norbert Muller is the winner of this year’s 2019 Koshnitsky medal. The Koshnitsky Medal is a lifetime achievement award by the Australian Chess Federation for an outstanding contribution to Australian Chess Administration at a National or State level. Norbert has been actively involved in Chess Administration for over 38 years. 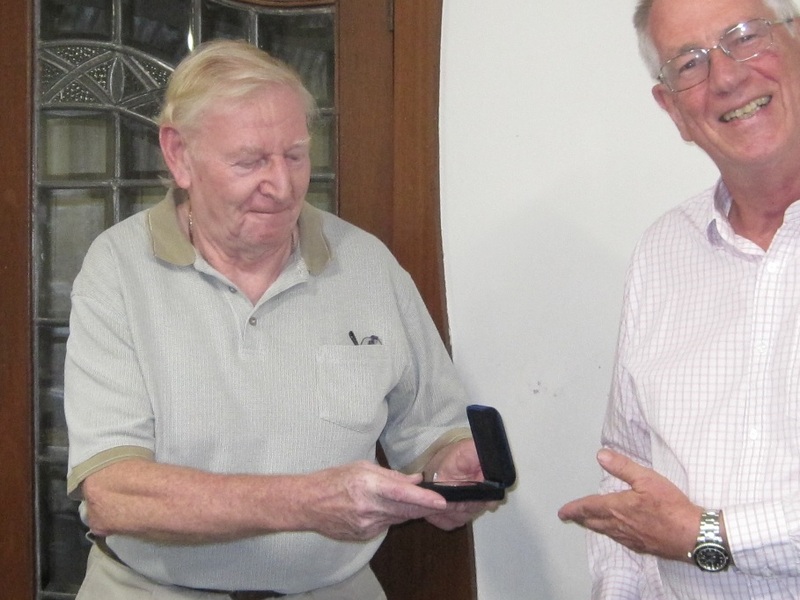 His achievements include, starting the Kingsley Junior Club in 1980, resurrecting the Perth Chess Club in 1994, a long involvement in Junior Chess in WA, secretary to six different CAWA Presidents, DOP to over 650 tournaments and much more. Congratulations Norbert, a terrific achievement!! The first CAWA tournament for 2019 - the 2019 January Blitz was held at the Rhein-Donau Club on Sunday the 20th of January. Congratulations to the winner: Patrick Gong who achieved a perfect score of 11 from 11. 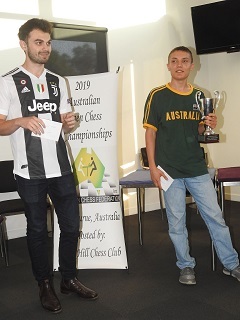 The 2019 Australian Open Chess Championship was held at Boxhill Chess Club in Ashwood, Victoria from the 27th to 31st of December. Temur Kuybokarov, who now calls WA home, won the Championship (7.5/9) on countback from Kanan Izzat. 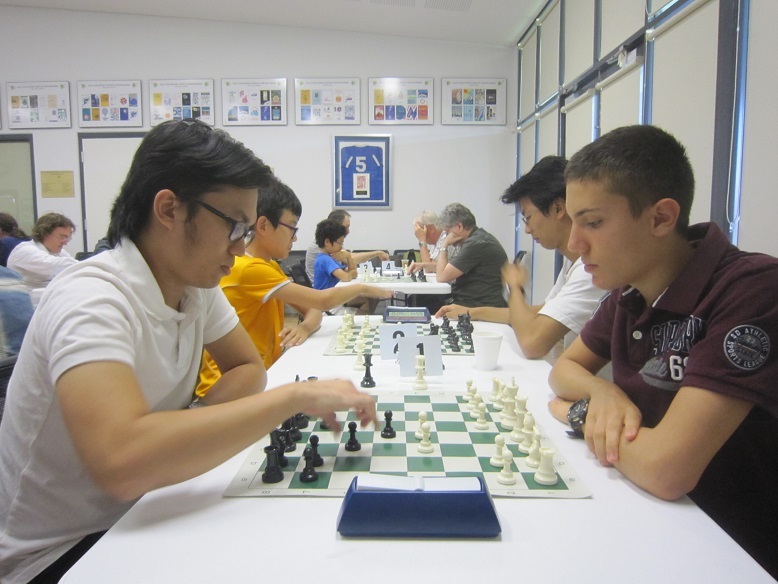 Other players representing WA included: Yita Choong, Adam Kelly & Jay Lakner (5.0/9). Previous tournament results can be found in Archives Section under the Past Tournaments heading.